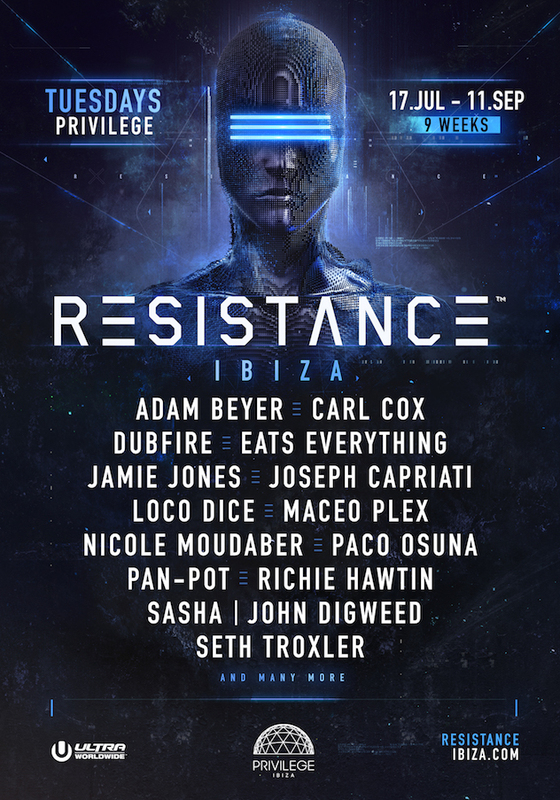 For the second year running Resistance will return to Privilege every single Tuesday night, so if you’re heading to the white isle of Ibiza between July 17th and September 11th, you may want to check this out. Adam Bayer, Carl Cox, Dubfire, Eats Everthing, Jamie Jones, Joseph Capriati, Loco Dice, Maceo Plex, Nicole Moudaber, Paco Osuna, Pan-Pot, Richie Hawtin, Sasha & John Digweed, plus Seth Troxler have all been signed up, keep your eyes peeled for the rest. Here’s the official live lineup announcement below.